the support of the Fritz Thyssen Foundation, annually awards travel grants to researchers (doctoral candidates, postdocs and postdocs) in Sinology or related subjects, starting in 2018 (for an initial three years). Applicants will have a professional research interest in the history, language or culture of China in the broadest sense and for whose research a stay in the country is indispensable. Each year, two travel grants are awarded for a period of up to three months for field research, archive and / or library research in China, preferably in Beijing. Successful candidates can be supervised in Beijing within the scope of the existing organizational and administrative and academic opportunities. 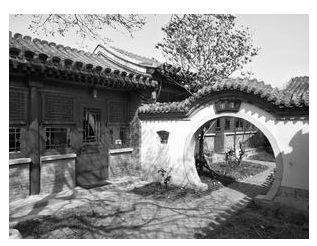 The China office of the MWS in Beijing, which was established in 2017, is based on a cooperation with the Écolefrançaise d’Extrême-Orient (EFEO) and the Institute of the History of Science at the Chinese Academy of Sciences. Together, EFEO and MWS form the European Center for China Studies in Beijing. They provide contacts in the Chinese, French and German humanities and social sciences, conduct basic research and hold events. a flat rate of EUR 700. The application for and the obtaining of a visa are to be made by the selected scholarship holders. The MWS China office can provide advisory support on obtaining visas. Qualified Sinologists and Sinologists as well as Humanities and Social Sciences (final degree at least Master, MA, State Examination, Diploma), who deal with China’s history, language or culture in the broadest sense, and submit a research plan for the stay in China. Sufficient knowledge of the language for carrying out the research project is required. 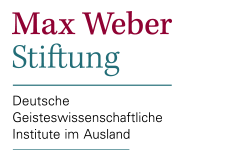 a reference report from the supervisor, which should provide information about the status of the applicant and the status of the work and be sent directly to the office of the Max Weber Foundation. Please send your application, using the necessary application forms to china(at)maxweberstiftung.de. Further information may be obtained from Hanna Pletziger, china(at)maxweberstiftung.de or via phone +49 (228) 377 86-38. Reference: STIP: MWS-Reisestipendien für China. In: ArtHist.net, Nov 4, 2017. <https://arthist.net/archive/16654>.